Affecizx (Anti-VEGF mAb, hPV19) is a humanized monoclonal antibody (mAb) that binds with high affinity to human vascular endothelial growth factor (VEGF). The antigen binding site (epitope) of Affecizx (hPV19) is different from that of Bevacizumab (Avastin, Roche/Genentech), the world 1st and so-far still the only therapeutic anti-VEGF mAb approved by the US Food and Drug Administration, FDA. In-vitro and in-vivo dada demonstrated that the bio-activity of Affecizx (hPV19) is more than 6-8 fold stronger than that of Bevacizumab (Avastin). In a phase 1a clinical trial in patients with advanced solid tumors refractory to standard therapy, Affecizx (hPV19) was found to be safe and well-tolerated (no dose-limiting toxicity was detected，maximum tolerated dose was not reached), and more importantly, demonstrated a very promising single-agent anti-tumor activity in these heavily pre-treated patients. A phase 1b clinical trial to evaluate the safety and efficacy of Affecizx (hPV19) in combination with standard chemotherapy in patients with advanced solid tumor is ongoing. 1. 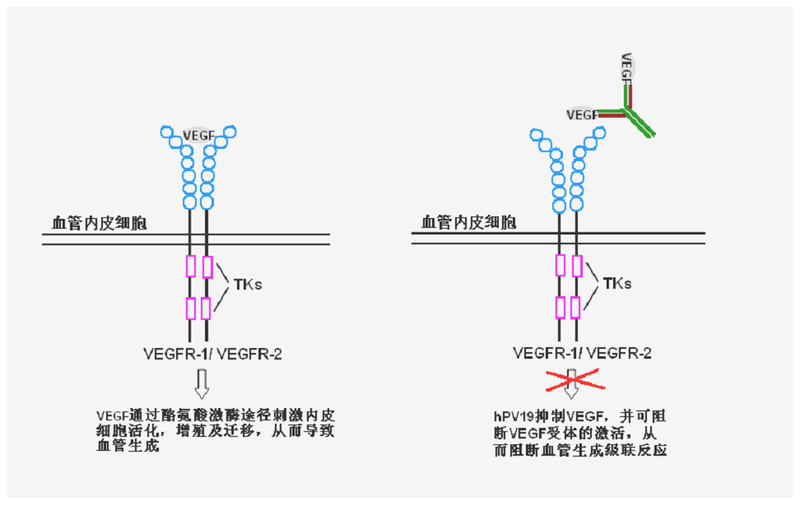 Leung DW, Cachianes G, Kuang WJ, Goeddel DV, and Ferrara N: Vascular endothelial growth factor is a secreted angiogenic mitogen. Science. 1989, 246:1306-09. 3. Dvorak HF, Sioussat TM, Brown LF, et al. Distribution of vascular permeability factor (vascular endothelial growth factor) in tumors: concentration in tumor blood vessels. J Exp Med. 1991, 174: 1275–1278. 4. Brown LF, Berse B, Jackman RW, et al. Expression of vascular permeability factor (vascular endothelial growth factor) and its receptors in adenocarcinomas of the gastrointestinal tract. Cancer Res. 1993, 53 :4727-4235. 5. Takahashi Y, Kitadai Y, Bucana CD, Cleary KR, Ellis LM: Expression of vascular endothelial growth factor and its receptor, KDR, correlates with vascularity, metastasis, and proliferation of human colon cancer. Cancer Res 1995, 55:3964-3968. 6. Ferrara N, Hillan KJ, Novotny W. Bevacizumab (Avastin), a humanized anti-VEGF monoclonal antibody for cancer therapy. Biochem Biophys Res Commun. 2005,333:328–335. 7. Gordon MS, Margolin K, Sledge GW et al. 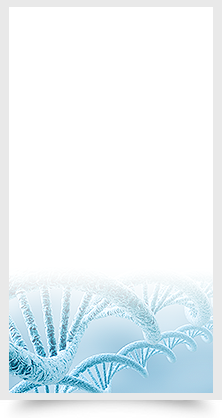 : Phase I safety and pharmacokinetic study of recombinant human anti-vascular endothelial growth factor in patients with advanced cancer. J Clin. Onco.l 2001, 19:843-50. 8. Margolin K, Gordon MS, Holmgren E, et al. : Phase Ib trail of intravenous recombinant humanized monoclonal antibody to vascular endothelial growth factor in combination with chemotherapy in patients with advanced caner: pharmacologic and long-term safety data. J Clin. Oncol. 2001,19:851-856. 9. Fairooz Kabbinavar, Herbert I. et al. Phase II, randomized trial comparing Bevacizumab plus Fluorouracil (FU)/Leucovorin (LV) with FU/LV alone in patients with metastatic colorectal cancer. J Clin. Oncol. 2003, 21:60-65. 10. Herbert Hurwitz, Louis Fehrenbacher, William Novotny, et al. Bevacizumab plus Irinotecan, Fluorouracil, and Leucovorin for Metastatic Colorectal Cancer. N Engl J Med. 2004, 350:2335-2342.